The BJP led government at the centre has approved 17 new national highways for Himachal Pradesh in principle. 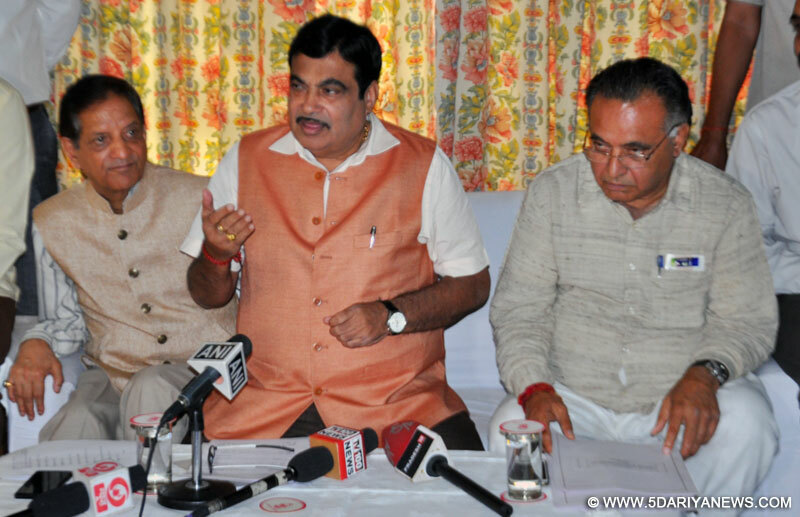 This was announced by the Union Road Transport and Highways Minister Nitin Gadkari said on Friday at Dharamshala in a press briefing.Minister announced seventeen new national highways for the state, including stretches of state highways - the 57 km Bhota-Nerchouk, 47 km Ranital-Kotla, 62 kms Rohru- Bhalidhar-kiari-Kotkhai, 153kms Chailla-Sarahan-Narayangarh, 106 kms Taradevi-Nalagarh-Ghanouli, 118kms Neripul-rajgarh-Banethi, 125 kms Mandi-Chailchouk-Nagan, 78 kms Narkanda—rohru, 14kms Takshal-Nogli,43.2kms Ghumarwin –sarkaghat, 59 kms Hamirpur-sujanpur- Palampur, 30 kms Thanaklan-nadoun, 65 kms Nadoun- Sujanpur-Kandapattan,83 kms Barotiwala-Arki-shalaghat, 125kms Hatkoti-Jeori,103 kms Banga-Anandpur sahib-naina devi and 100km Dhalli –tattapani-Rohanda -Sundernagar roads.The total length of these roads shall be 1368.20 kms . Minister said that he shall include more roads after consultation with MPs to bring the total road leangth to 1500 kms in this year.There were 17 No. National Highways as on 31.8.2015 with a total length of 2002.690 Km. The following 5 No. National Highways having a length of 632.000 Km. have been declared as National Highway by the Ministry on 4th March,2014. Manali to Sarchu (222.000 Km. ), Samdhu to Gramphoo (209.500 Km. ), Purana Matour to Macleodganj (22.500 Km. ), Katori Banglow to Bharmour (133.00 Km. ), Amb to Mubarakpur (45.000Km). Union Road Transport and Highways Minister Nitin Gadkari said ,”If the state government helps in land acquisition procedure , the ministry under him will not hesitate in widening the every national highway in Himachal Pradesh.” He said that Central Government is encouraging Himachal Pradesh in shifting towards electric transportation system. Gadkari said,”Isro has developed Lithium batteries for buses which are 30% cheap to its European version , once the commercial production is on India shall have electric buses on low price.” He said that the government is encouraging the owners of the deasel taxis to convert their vehicles to CNG kits , which is now available in the market. Government is also getting extra time from court to off road the diesel vehicles.Gadkari said that there is ample space for the extension of the runway in Gaggal; airport of Dharamshala. He said,”the land mass extracted of due to the four-lanning of Pathankote –Mandi NH can be used for filling of land for extending the air stripe.” He said that the artificial water bodies created due to big dams in Himachal can be used for aero planes which could land on water surfaces to attract the tourists.In the press briefing Transport Minister of Himachal G S Bali was also present.